Puri: The East Coast Railway (ECoR) has planned to run 184 special trains leaving from its jurisdiction towards Puri and vice versa to facilitate pilgrims’ travel apart from the special trains from the neighbouring States during the Rath Yatra. 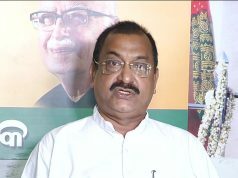 Among 184 special trains, 10 one each from Bangiriposi, Kendujhargarh, Bhadrak, Cuttack, Paradeep, Brahmapur, Palasa and three from Khurda Road would run towards Puri for the Gundicha Yatra on July 14. 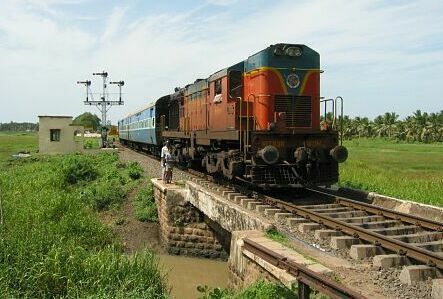 Four would run towards Puri one each from Visakhapatnam, Kharagpur, Shalimar and Junagarh Road from the originating stations on July 13 and all would return on July 14. As many as 24 special trains would run to and from Puri during July 15 to 20. While for Sandhya Darshan on July 21, eight trains would run including one pair between Bangiriposi and Puri and three pairs between Khurda Road and Puri from both the directions. 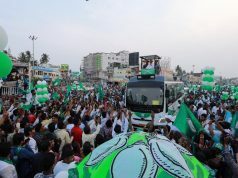 For Bahuda Yatra on July 22, 13 special trains will run towards Puri for Bahuda Yatra one each from Visakhapatnam, Shalimar and Junagarh Road will leave on July 21 and from Bangiriposi, Kendujhargarh, Bhadrak, Cuttack, Paradeep, Brahmapur, Palasa and three from Khurda Road will leave on July 22. Similarly for Sunavesha on July 23, 13 trains would run towards Puri one from Shalimar on July 22 and one each from Sambalpur, Bangiriposi, Kendujhargarh, Bhadrak, Cuttack, Paradeep, Brahmapur, Palasa, Visakhapatnam and three from Khurda Road on July 23. 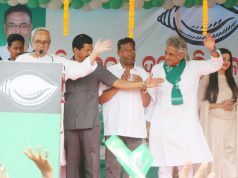 Besides, special trains between Khurda Road and Nayagarh Town would also run during the yatra.